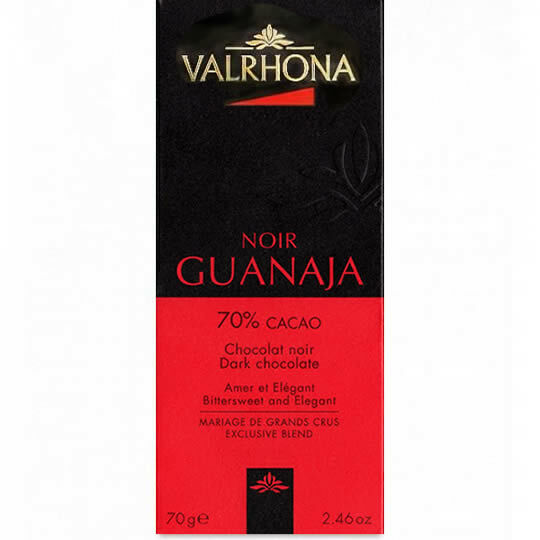 Dark and rich with full flavoured chocolate bar from Valrhona, the Valrhona Noir Guanaja 70% Cacao Dark Chocolate Bar. 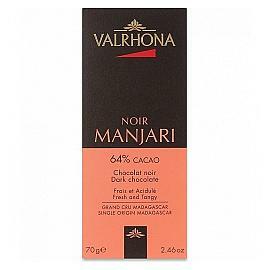 Combining two cocoa varieties, Criollo and Trinitario, from Guanaja in the Caribbean the Noir Guanaja has an unique flavour profile. Velvety smooth without the sweetness of lower percentage chocolate bars. 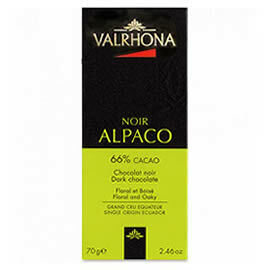 With a strong flavour you would expect from a 70% cacao bar, without the acidity. A noticeably lingering chocolate with intensity and depth. Bean Type: Blended; Criollo and Trinitario. Tasting Notes: Bittersweet and Elegant. 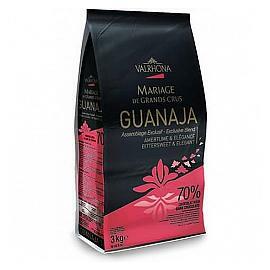 Collection: Valrhona, Valrhona Mariage de Grands Crus. 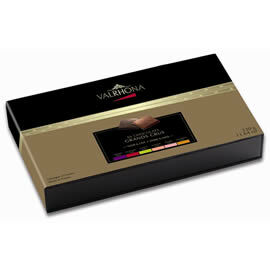 Valrhona Noir Guanaja is one of the flavours in the Valrhona Collection Grands Crus, a gift box of tasting squares. A dark chocolate bar made with cocoa from the Caribbean, an exclusive blend of cocoa beans Valrhona. Valrhona Guanaja 70% Cocoa Couverture Chocolate Chips, a large bag of professional quality cooking chocolate, made with 70% cocoa dark chocolate.